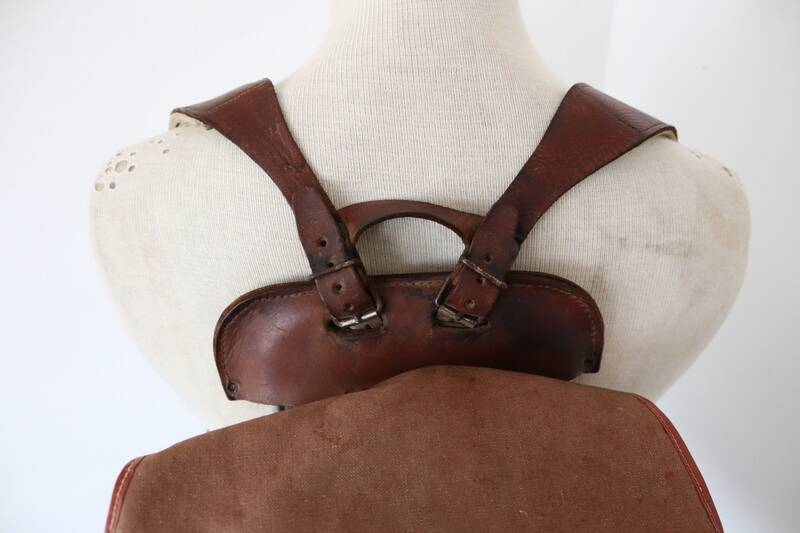 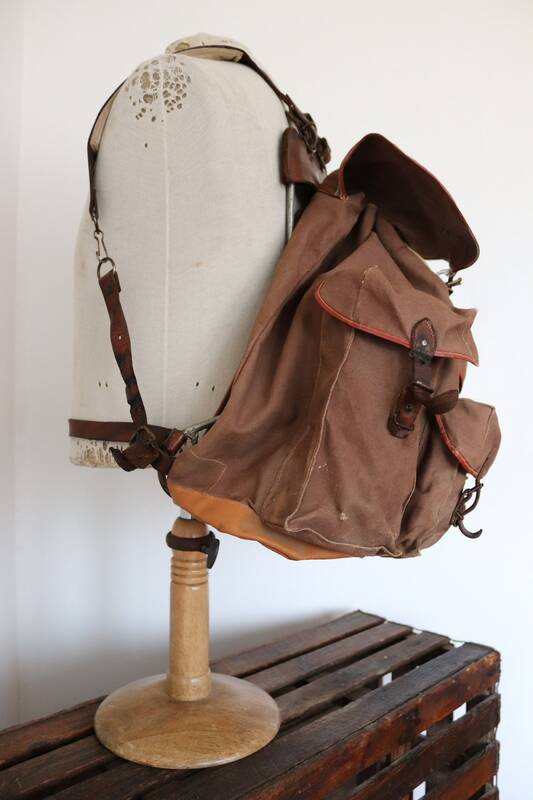 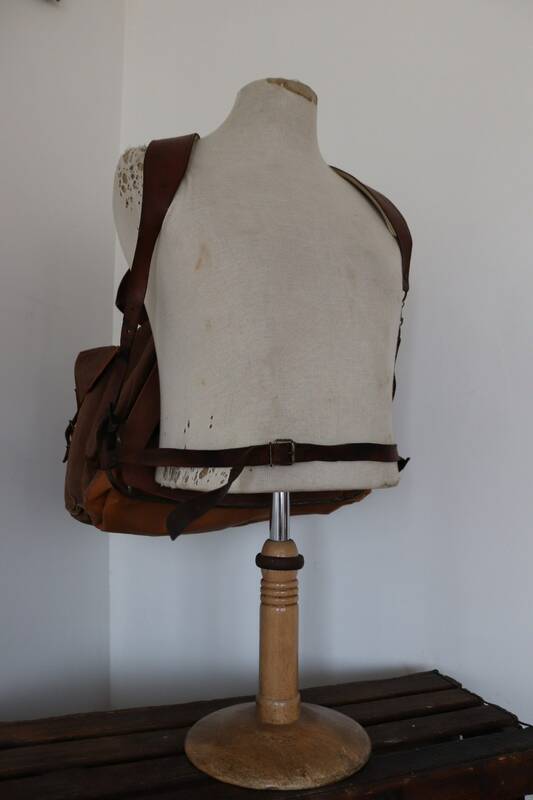 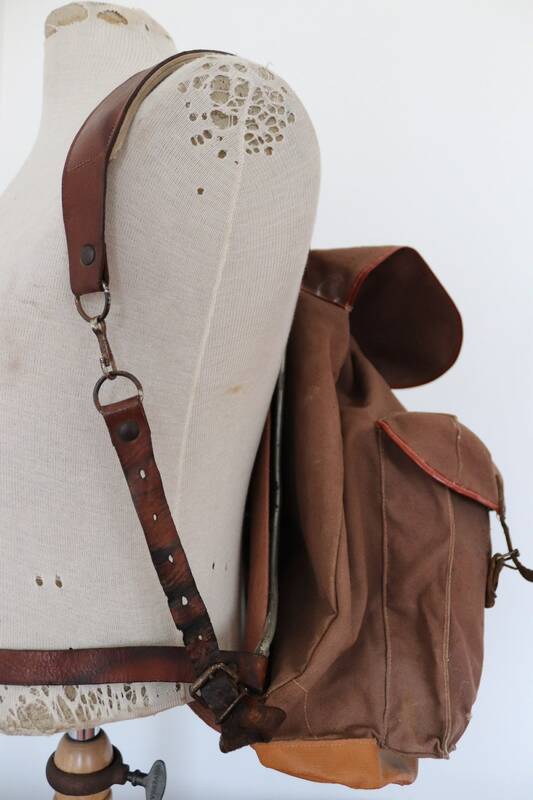 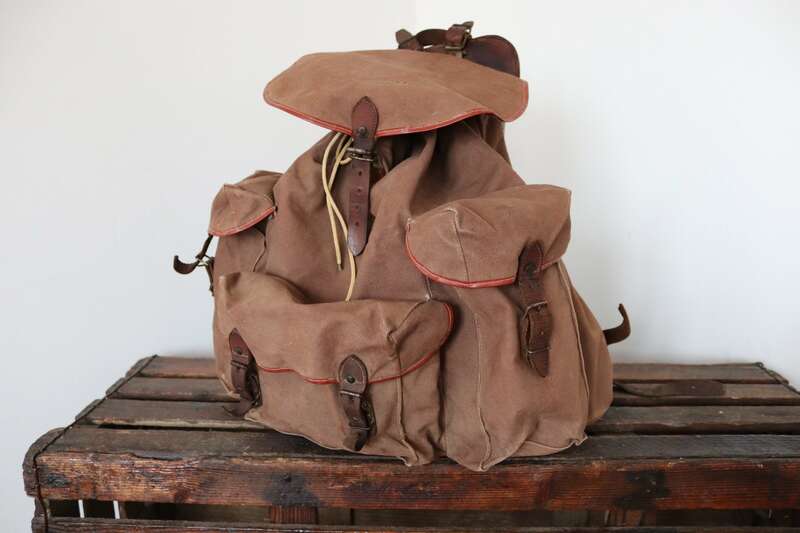 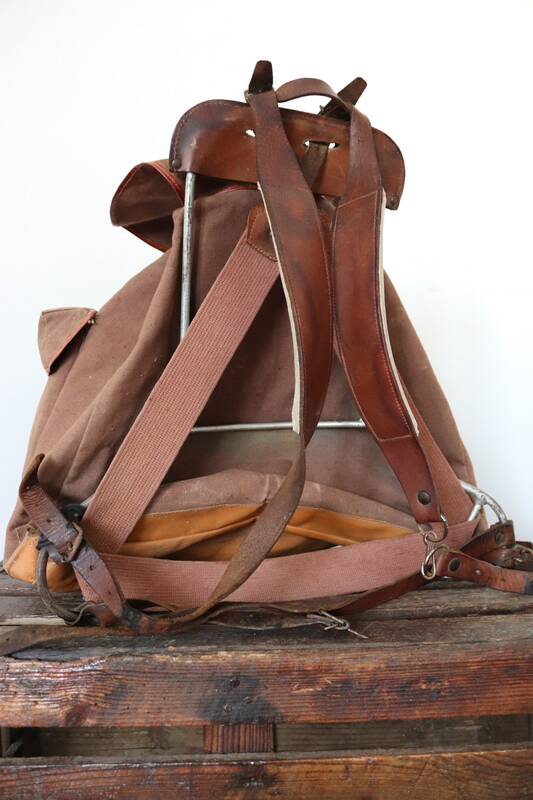 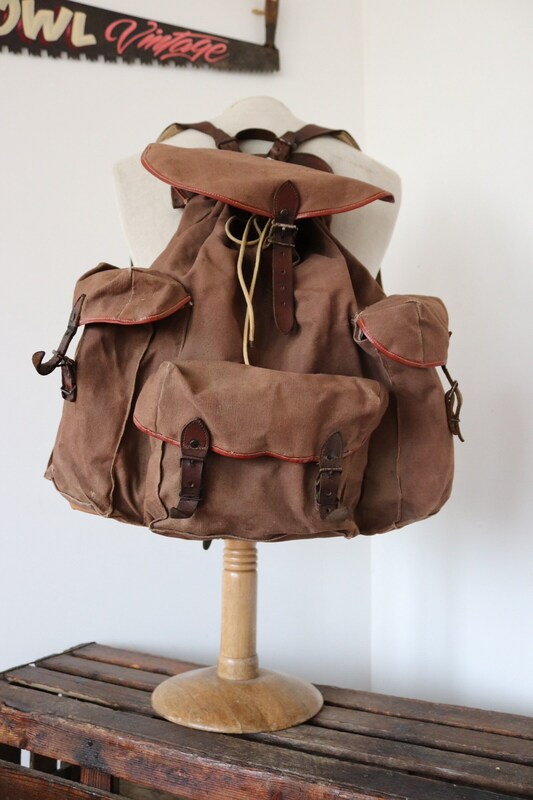 A brown canvas and leather rucksack dating from the 1950s. 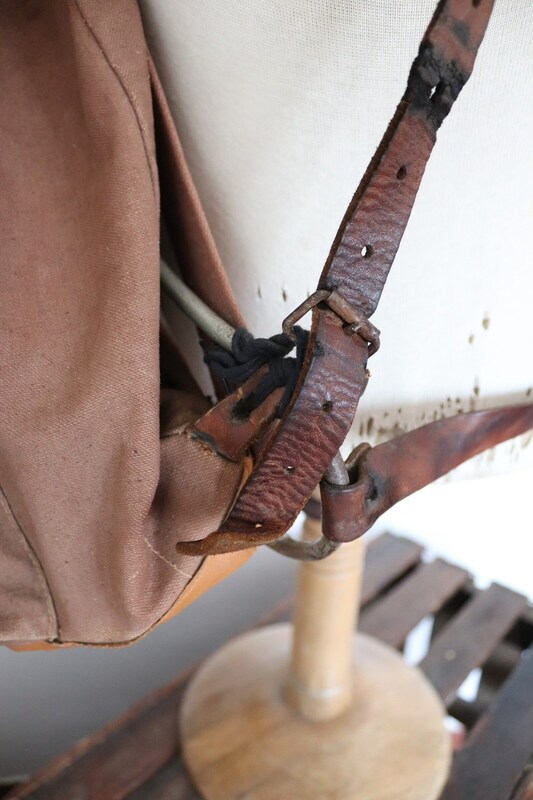 Noted flaws - scuffs to the canvas throughout, one of the leather straps has been repaired with a bootlace, which looks like a solid - if improvised - solution - please see photos. 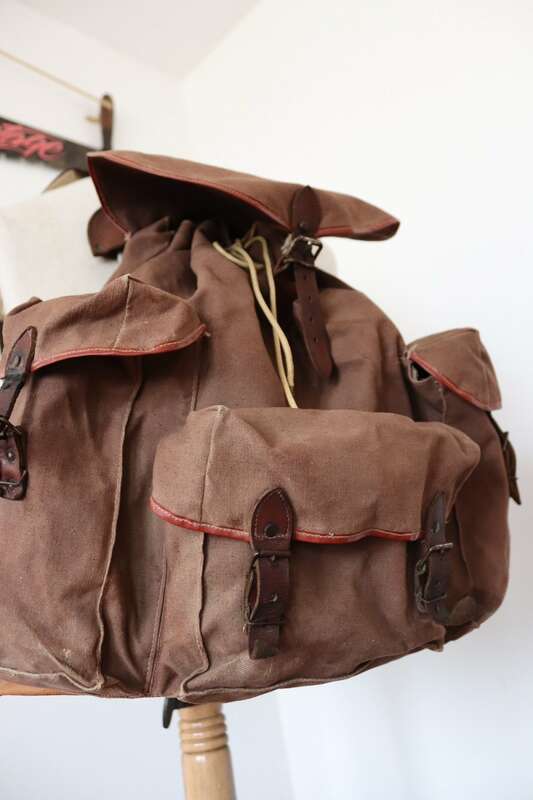 Great condition otherwise, real leather straps with vinyl edging to the pocket flaps, original drawstring, tough canvas, metal frame, waist belt, cushioned shoulder straps, a graet looking rucksack with plenty of life in it. 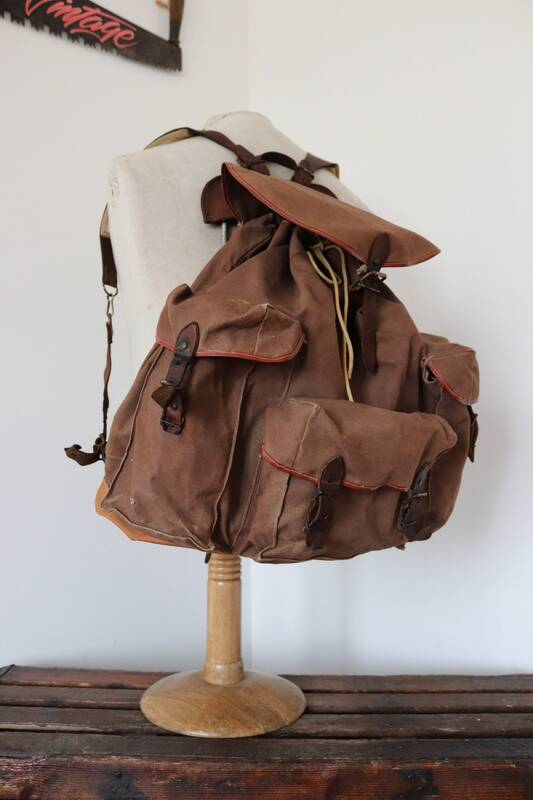 Measures H17" x W17" x D9", weighs 1.75kg.